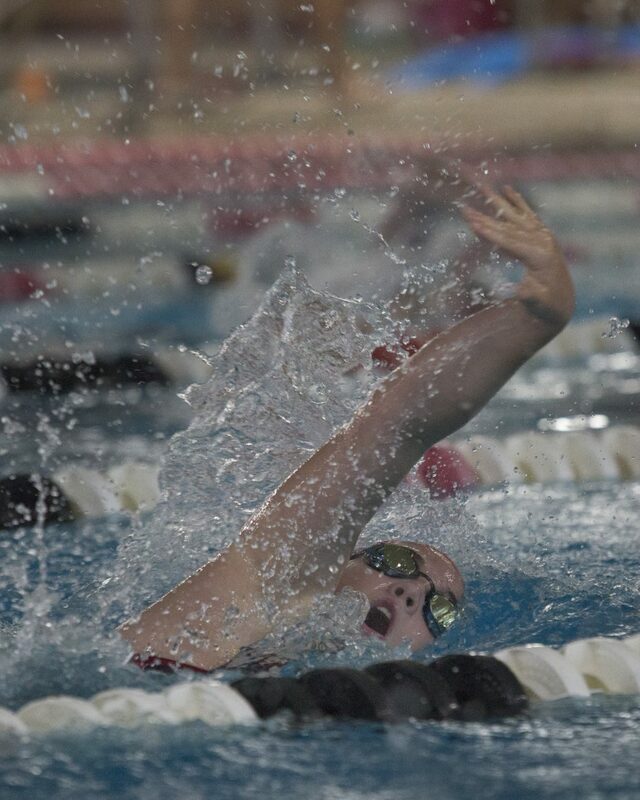 Swimming season is drawing to a close, but Park City High School is continuing to dominate the sport, even as they face a larger, stronger state classification. On Jan. 27, the team took first in both boys and girls swimming at the Region 11 meet in Tooele, setting two records in the process. The Miners boys team finished with 452 points, besting Juan Diego Catholic High School with 423, followed by Tooele High School with 294. On the girls side, the Miners finished with 591 points, followed by Tooele with 364 and Juan Diego with 235. The Miners wasted no time in setting a Class 4A record, as Jessi Beyer, Katie Hale, Elise Beller and Helena Djunic swam the first event of the day, the 200-yard medley relay, in 1:50.11. The girls then finished the meet with a record, as Djunic, Hale, Emma Strong-Conklin and Beller finished the 400-freestyle relay in 3:40.57 for a new pool record. Records aside, the Miners dominated across the board, taking first in the boys and girls 200 individual relay, the boys and girls 200 freestyle, the boys 50 freestyle, the girls 100 butterfly, the girls 100 freestyle, the boys and girls 500 freestyle, the girls 200 freestyle relay, the boys and girls 100 backstroke and the girls 100 breaststroke. Like the girls, the boys finished their meet with a win, taking the 400 freestyle relay in 3:22.73 with Dennis Djunic, Jack Troxel, Trevor Malpede and Cole Peterson contributing to the final push. Werner said this was one of the toughest region meets he has been involved in. 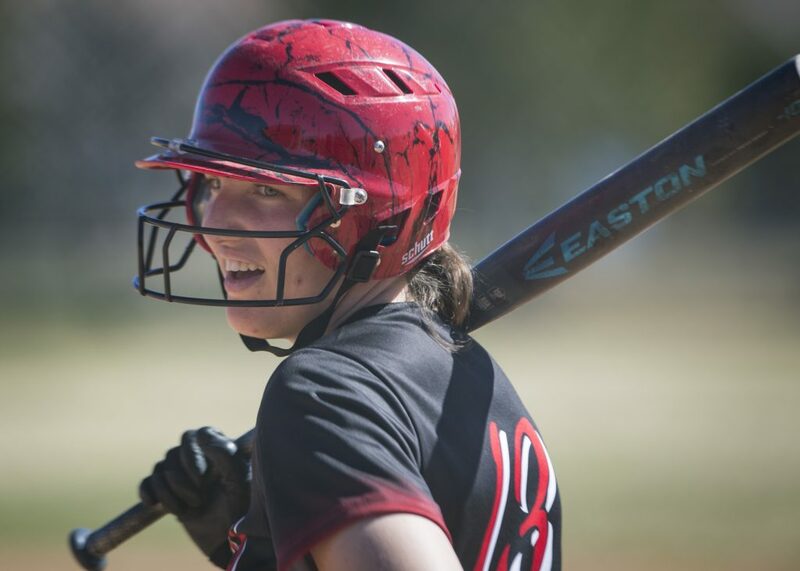 Looking toward state, which starts Friday at 2 p.m. at the South Davis Recreation Center in Bountiful, Utah, Werner said Desert Hills will likely be a contender in both genders, while Sky View will be a contender in the girls competition. 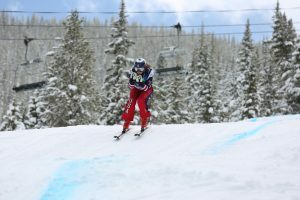 He said though Park City has stood as an example of high-quality swimming for several years, this year is different in that the team is competing in a new, larger classification.